OTTAWA - As the Harper government aggressively pursues international free- trade deals, a decades-old rule hampering domestic trade has come under the microscope. Free my grapes was the rallying cry on Parliament Hill on Tuesday as a committee heard from supporters of a private member's bill seeking to erase a 1928 rule that restricts individuals from bringing wine across provincial borders. Shirley-Ann George ran into that problem when she was visiting B.C. and then tried to join a wine club through a vineyard there, only to be told the vineyard couldn't ship to her home in Ontario. She decided to start up the Alliance of Canadian Wine Consumers to try to change it. "You've got to be kidding," is the most common refrain from people first learning about the rule, George said in an interview. "Most Canadians don't even know it is illegal. They think it's silly, archaic and it's time that the government started to think in the 21st century." Bill C-311, an Act to amend the Importation of Intoxicating Liquors Act, was introduced in the House of Commons last fall by B.C. Tory MP Dan Albas. While Albas doesn't drink, he said the issue came up frequently during the 2011 election campaign in his riding of Okanagan-Coquihalla, which sits in B.C. wine country. It emerged during all-candidates meetings that changing the law had all-party support, so when the rookie MP was elected, he introduced a bill. The liquor law as written is akin to saying to car makers in Ontario that they can make their cars there but they can't ship them to B.C. or Alberta, said Albas. "Dealing with outdated laws and making sure we basically set our businesses free is something that's very important," he said. While trade between provinces is a federal responsibility, liquor sales themselves are regulated by the provinces. So even if the bill passes, the provinces can control how much people bring in. Last year, Ontario's liquor control board set up a policy that allows Ontarians to bring up to three litres of spirits, nine litres of wine, and 24.6 litres of beer into the province as long as it is for personal consumption. 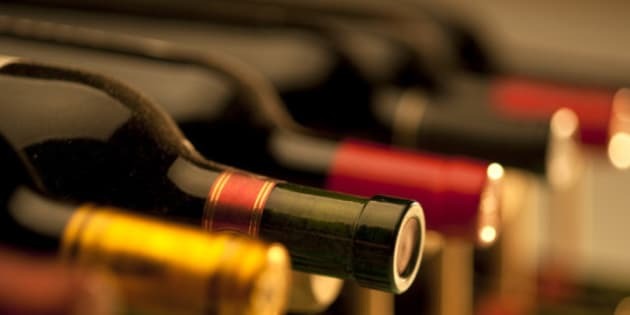 A group representing Canada's provincial liquor boards say the legal amendment to the bill is unnecessary because they can order wine from outside their borders for their customers. "We're all for tourists visiting wineries in other provinces and taking wine home with them. However, we do have concerns with direct sales into other provinces since this is a new and distinct retail channel," Rowland Dunning, executive director of Canadian Association of Liquor Jurisdictions, told MPs last week. "The impact on our businesses and provincial revenues from allowing direct sales could be substantial." And the bill has international implications, as there's a risk it could violate trade laws if it gives Canadian wines an unfair advantage. The issue of wine imports has been sticking point in Canada-E.U. relations and with continuing negotiations for a broader free trade between the two, the Europeans are keeping a close eye on the bill. A spokesman for International Trade Minister Ed Fast said because the bill is still before Parliament, discussions about it with the E.U. have been limited. "We will only sign an agreement that is in the best long-term interest of Canadians," said Rudy Husny in an e-mail. It's actually domestic wines that could be at risk, suggested Debbie Zimmerman, chief executive officer of the Grape Growers of Ontario. "Our main concern obviously is that we would be opening the door for more import wine options for people," she said. She's hoping to convince MPs to make the new rule so it only applies to 100 per cent Canadian wines though it's likely that would almost certainly lead to trade challenges. While it appears no one has ever been charged with violating the law as it stands, supporters say changing it benefits vineyards across Canada whose size limits their ability to sell into provincially regulated stores. The bill passed committee on Tuesday and will now return to the House of Commons for further debate.